When the person you love is diagnosed with a severe mental illness it feels like betrayal. In the aftermath of the first episode, once the shock wears off, we want to scream: I did not sign up for this *crazy* life! If traditional marriage vows were exchanged in the relationship promising fidelity “in sickness and health,” somehow mental illness wasn’t what we think about in that vow. The flu, heart disease, even cancer are things we’ve come to accept as part of being mortal. But severe mental illness? For many, perhaps on a subconscious level, life-destabilizing and debilitating mental illness remains in the realm of the unimaginable. You don’t consider the possibility that your sweetheart could become unrecognizable under the influence of severe mental illness. You never thought that one morning you’d wake up in bed alone because your beloved is across town in a psychiatric hospital bed recovering from a severe psychotic episode or suicide attempt. For many years, the stigma and shame in faith communities surrounding divorce kept people socially isolated. The church judged divorcees, denied them communion, sending clear messages of unwelcome. I argue that couples today who are experiencing the impact of severe mental illness find themselves in that unenviable class of the divorcees of previous decades. If your partner is recovering from psychosis, you most likely will find yourself marginalized among the widows, widowers and divorcees. Whether that’s because he or she is recovering in the psychiatric hospital or at home, nobody wants to visit, send flowers or drop off a lasagna. My brother Scott was married for several years, until one day his wife said she could no longer be married to a person with chronic and severe mental illness. Marriage is hard enough without adding mental illness into the mix. How many marriages can survive the stress and emotional strain of severe mental illness? As we watch divorce rates climb, how much does untreated or under-treated mental illness contribute to the end of marriages? How can faith communities better support couples who desire to stay together through times of mental illness or a lifetime of mental illness? In the nervous excitement of the first kiss, the first Valentines Day date, crazy love hooks us. But in the ebb and flow of romantic love, what remains in the long marriage is the promise to be there in sickness and in health, including mental illness. Yet, the burden of mental illness with its significant shame and stigma, keeps many couples suffering through this sickness in silence. More and more, I believe we can’t stay married alone. In the ninth year of my own marriage I’ve come to intimately know what it’s like to wake up feeling alone because of my husband’s chronic depression and anxiety. Sometimes I wish mental illness would magically disappear from our marriage, but life has taught us that it has more to do with hard work and hope, than magic. For us honoring our marriage vows also means taking care of our mental health. Those days when we find ourselves married alone, we need the wide circle of support from mental health professionals, family, friends, and the church that married us. Real love stands the the time,my husband’s did not nor my friends,Mental illness is the loneliest of diseases .I have learned to smile and through gritted teeth say I am fine.The truth does not set you free,the truth leaves you lonely and betrayed. Mental illness is unlike any other disease and the stress it places on relationships is so difficult. Can true love withstand the stress or is it about true love plus the support of a wider circle of caring? Thank you for your excellent essay, Sarah. Blessings on you and your life partner, with hope for many good days to come. A few years ago, I partnered with many collaborators in the mental health, seminary, and bioethics fields, plus funders, in creation and implementation of a project we call Sabbaths of Hope. The aim was to educate and provide resources on depression to faith communities and their leaders, ultimately reducing stigma and breaking down barriers to treatment. All resources, some in Spanish also, are available as free downloads from the website of Mental Health America of the Heartland, at http://www.mhah.org/Programs/MHPSOHO.html . I hope this might be of some use to you and your readers. Terry, thank you for sharing these resources. I am eager to learn about them. It’s hopeful to know such support systems are available. Thank you for your work that offers people a place to find healing. 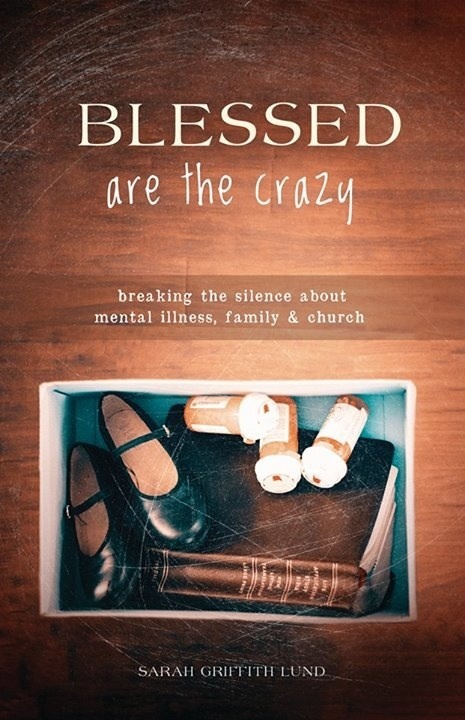 What a wonderful piece that truly sheds light on the effects of mental illness on loved ones. It is true, mental illness is so difficult to “deal with” because of its individualistic nature. I felt terribly guilty for dragging my husband down this road I am on; but his understanding that all he can really do is support me, has allowed me to be a better spouse today. He could see the light at the end of the tunnel, because ultimately, he knew that the real me was inside the wall my illness had created. We also talk a lot, and I often just listen. Thanks again for reminding to listen. Yes, talking and listening help…regular and on-going communication helps keep things in perspective and can help facilitate healing. Blessings to you and your spouse! Good post. I agree with you that a network of support is crucial. We need more of that in this country (USA). There is a good book called Bowling Alone which discusses how people aren’t as connected as they used to be in terms of community. That needs to change. I would suggest Meetup.com as a resource you might not have heard of. Thanks for your words of affirmations and support. Meetup was really helpful to me as a new mom living in a small town. Blessings on your journey! I was married for 32 years. For approximately the last 15 of those years, my ex husband had bipolar disease. I tried to stay with him. I tried to keep loving him and supporting him, all the while holding down a job and raising our two children, more or less on my own. But I couldn’t do it. When he was manic, he could run up thousands of dollars a week in debt, mostly in hostess bars. Each manic phase would leave us deeper in debt, with fewer resources to draw upon. We finally had to sell our home & even that didn’t end the problems. At times, he would acknowledge his diagnosis, but often would deny his illness, saying that I had diagnosed him. When depressed, he would seek treatment, but eventually he would go off his meds & the manic phase would eventually follow. I finally had to choose between trying to help him and surviving with my children. He was not able to do what he needed to do to stay balanced. I regret that I wasn’t able to do more to help him, but my life, and my children’s lives are so much better now that we are not on the roller coaster that was living with his bipolar disease. The kids are grown now & the one that lives near him sees him regularly. He isn’t cut out of their lives & that much is a good thing. So glad that things are better now. The roller coaster can be scary.